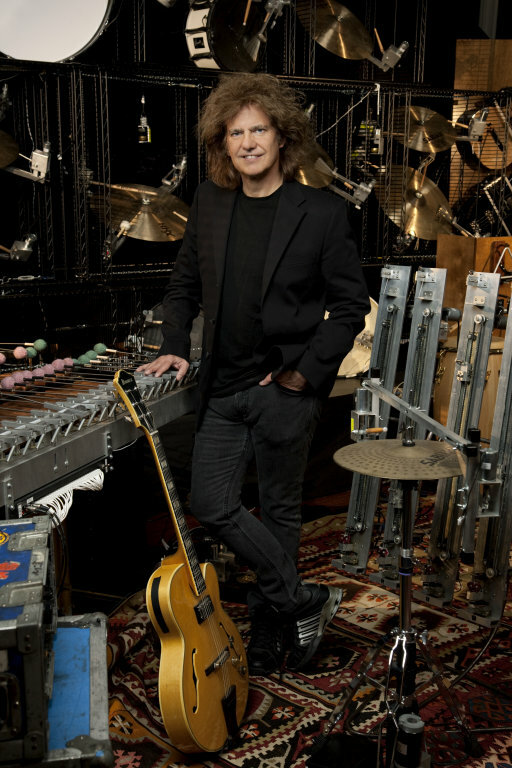 I have been a Pat Metheny fan for some time now. I remember distinctly hearing him for the first time, odd though it seems, on an edition of the old BBC programme, Tomorrows World, where he was demonstrating the then new guitar synth, by Roland I think. This must have been around 1983 as I got his next album, First Circle when it came out in 1984, guitar synth featuring heavily. Whilst my collection of his material is by no means complete there is still a pretty full shelf of Metheny disc, solo, ensemble and group. Most of his music carries the distinctive Metheny qualities, although some like Zero Tolerance for Silence take his ability to explore all musical and crannies too far for me, perhaps one of the only truly unlistenable albums I have. It is pointless for me to try and explain in detail but the Orchestrion is an up to date version of the player piano idea where the musician has control of all the instruments at his disposal though a complex solenoid arrangement. The embedded video does a much better job than I could hope to do of describing this. The technological arrangement is amazing, and hats off to all those involved in making it happen and especially Eric Singer who custom built all the orchestrion instruments used here. But what of the music? I guess the most obvious feature is the ability to have several instruments following the same complex runs simultaneously, with the same ‘moves and sways’ – frankly I have no idea how this really works but it clearly does. The tracks have the unmistakeable Metheny flavour to them, and no bad thing at all. Exquisitely played of course, flowing, rippling, luxuriant tracks but you can’t help but think they sound like a new Pat Metheny Group CD. I am not quite sure what I like it to sound like, but if I didn’t know of the amazing technical stuff I would still be pleased to have this as the latest PMG album. Pat obviously feels that it gives him greater and more personal control, with instruments responding to how he wants them to sound, maybe its a musicians thing. A welcome addition to the Metheny oeuvre, extra-ordinary musicianship and a technical triumph, I guess I just hoped for something extra, something musically even more outstanding in line with the mind boggling orchestrion itself. This entry was posted in Uncategorized and tagged Pat Metheny, video. Bookmark the permalink.